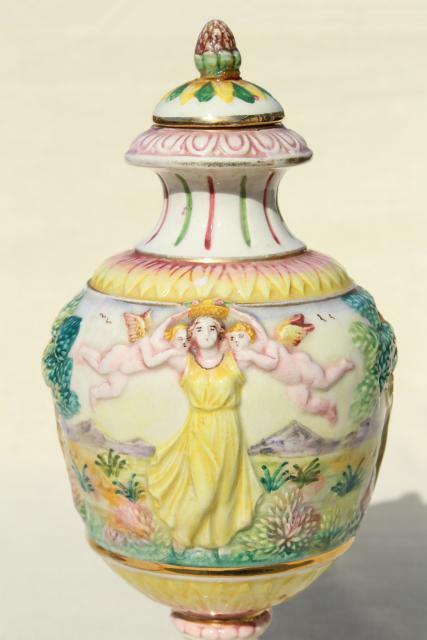 vintage hand painted Italian ceramic urn, 1930s lady in Elysian fields w/ cherubs! 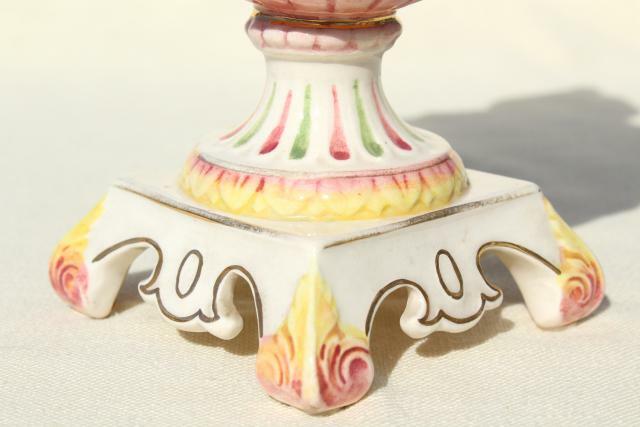 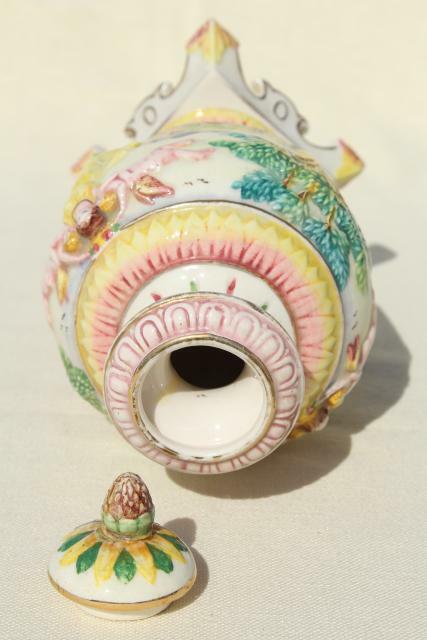 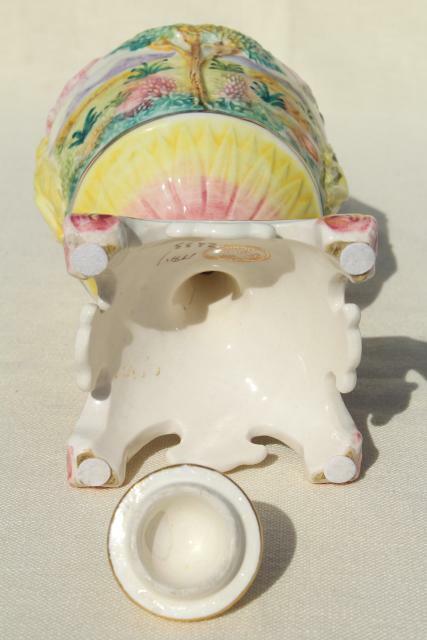 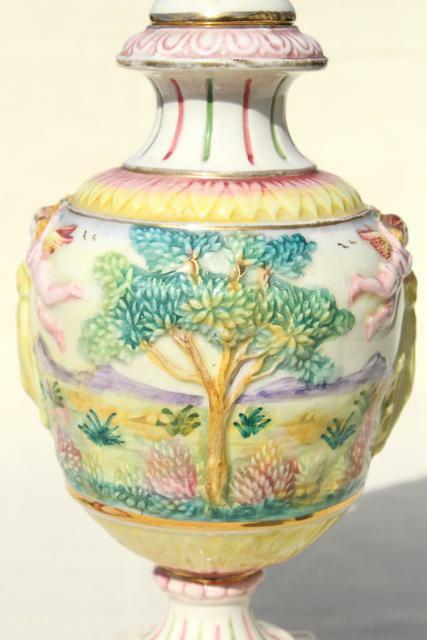 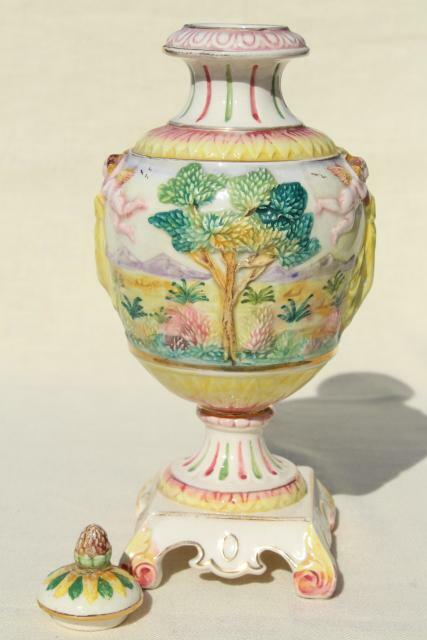 Vintage ceramic urn made in Italy, embossed with much detail, hand painted in cheerful colors. 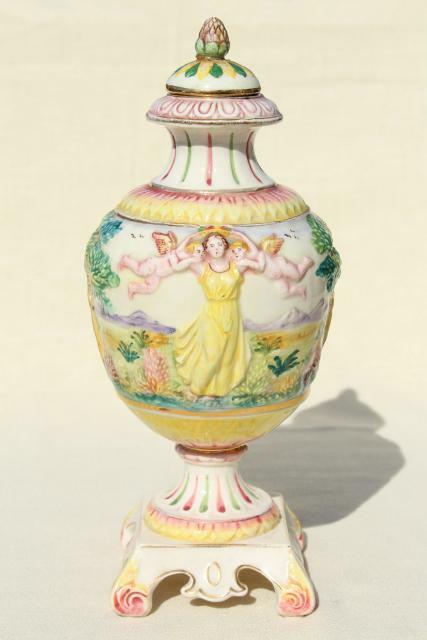 The scene on this is amazing - it looks like a 1930s lady with waved bob hair in a flowery picture hat and flimsy summer dress, holding two cherubs and swinging them by the arms. 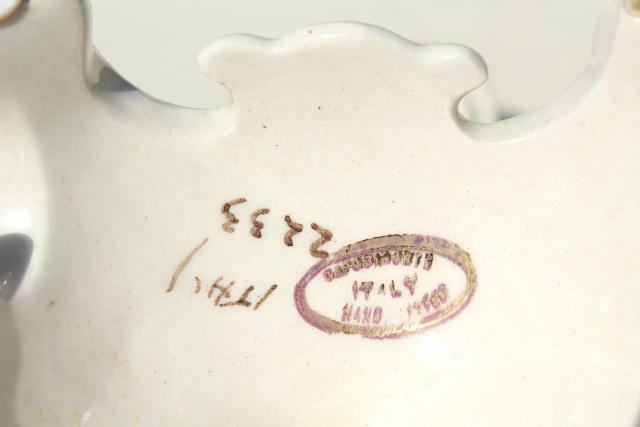 Couldn't be... or could it?! 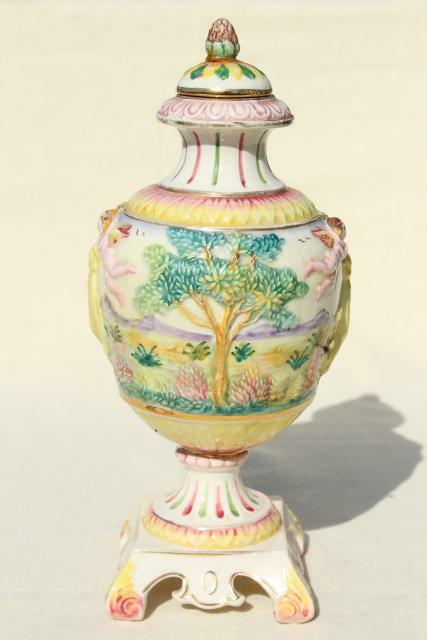 The jar stands 10 1/2" tall to the top of the lid. 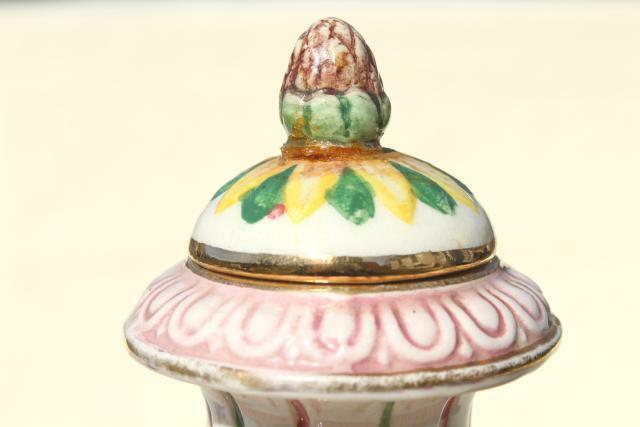 The tiny lid has been repaired at some point, the jar is in fine shape.